From a Daners "rainbow" to the Seikosha "kamikaze". Phillips’ upcoming Geneva watch auction is 223-lots strong, boasting the usual assortment of valuable timepieces from names like Patek Philippe and Rolex. But it also includes a selection of uncommon and intriguing timepieces from remote corners of the horological universe. They include watches from independent watchmakers like the late Richard Daners, and a Second World War Japanese airforce pilot’s watch, but also less obvious watches from big names like Omega. Here’s a round-up of the interesting and esoteric watches in The Geneva Watch Auction: Eight, which takes place in mid November. One of the oldest watch and jewellery stores in the world – founded in 1854, just 15 years after Patek Philippe – Gübelin was unusual amongst retailers with its long partnership with the late independent watchmaker Richard Daners, a contemporary of Derek Pratt and Daniel Roth. 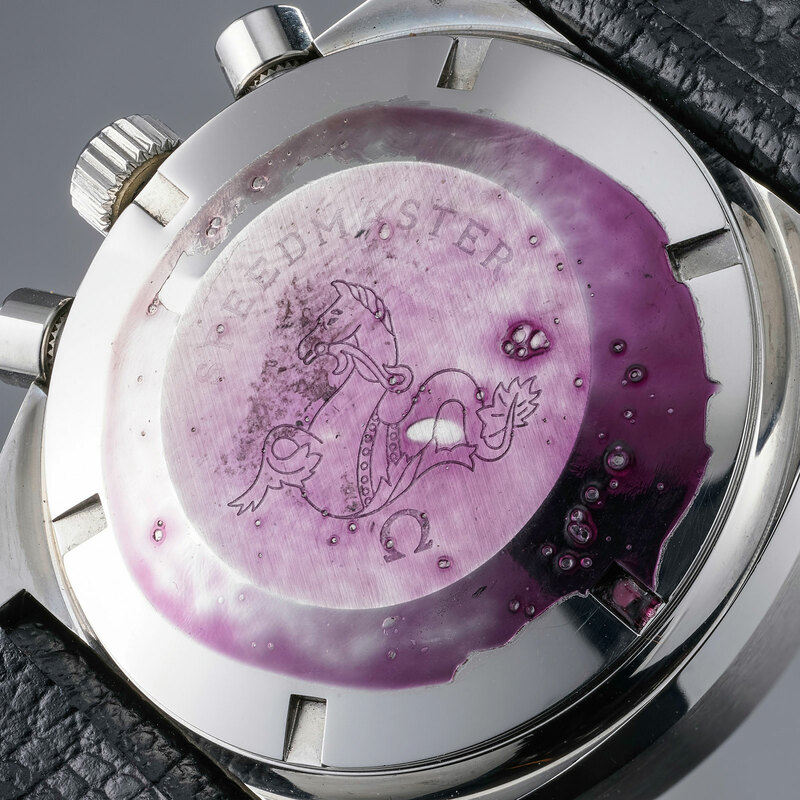 The German, who passed away just earlier this year, started working with Gübelin in 1979, creating many unusual and complicated watches over the span of about two decades, particularly astronomical complications and tourbillons. One of his most major and last creations was a triple axis tourbillon pocket watch for the 150th anniversary of Gübelin in 2004, developed together with watchmaker Marion Müller. But the best known are probably the bras en l’air timepieces, which tell the time via twin arms of a figure on the dial. These are today synonymous with Thomas Prescher, who had worked with Mr Daners before. 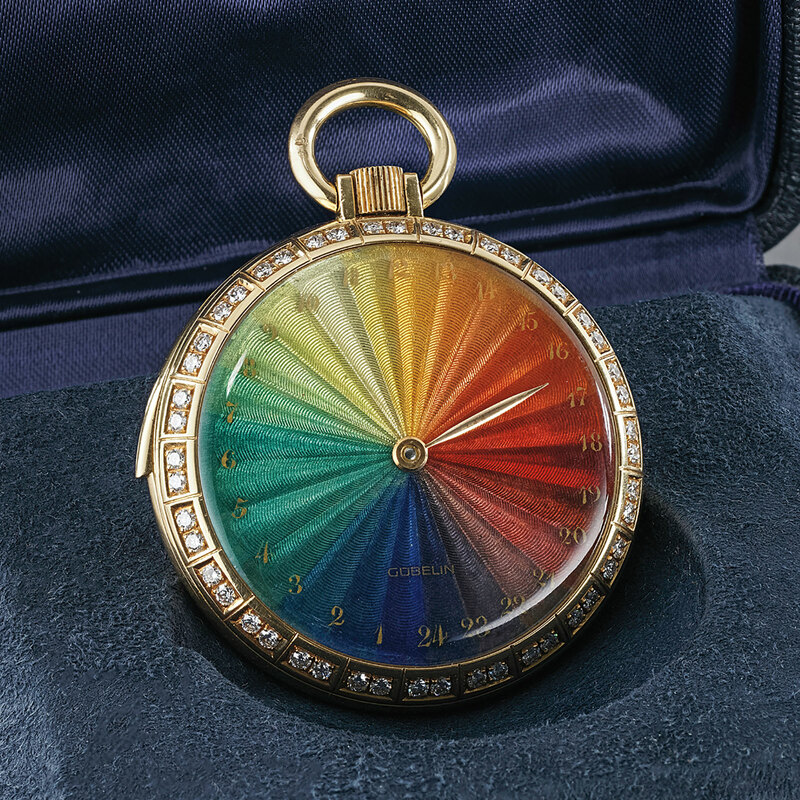 Made in 1988 by Mr Daners for Gübelin, this pocket watch has a striking, graduated colour rainbow dial in translucent vitreous enamel over a guilloche base. The novelty is further enhanced by the single-hand time display on a 24-hour scale. The case is 43.5mm in diameter, smallish for a pocket watch, and contains what is likely a vintage minute repeated ebauche that was modified, completed and decorated by Mr Daners. Accompanied by its box and a Gübelin archive extract, the pocket watch has an estimate of SFr15,000 to SFr25,000, or about US$15,400 to US$25,600, which is likely less than what it cost 30 years ago as a consequence of the unfashionable appeal of pocket watches in today’s market. 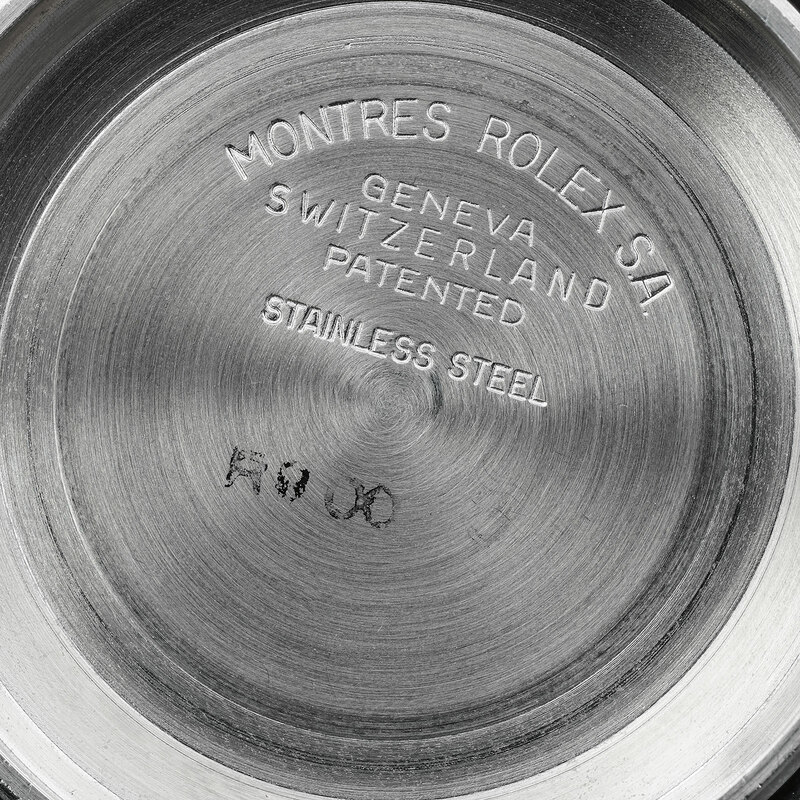 Much like the unique Daytona “Zenith” in platinum that recently sold for US$871,000, the Rolex Day-Date in stainless steel is a fairly ordinary looking watch that is notably rare and vastly more valuable than its ordinary equivalent. 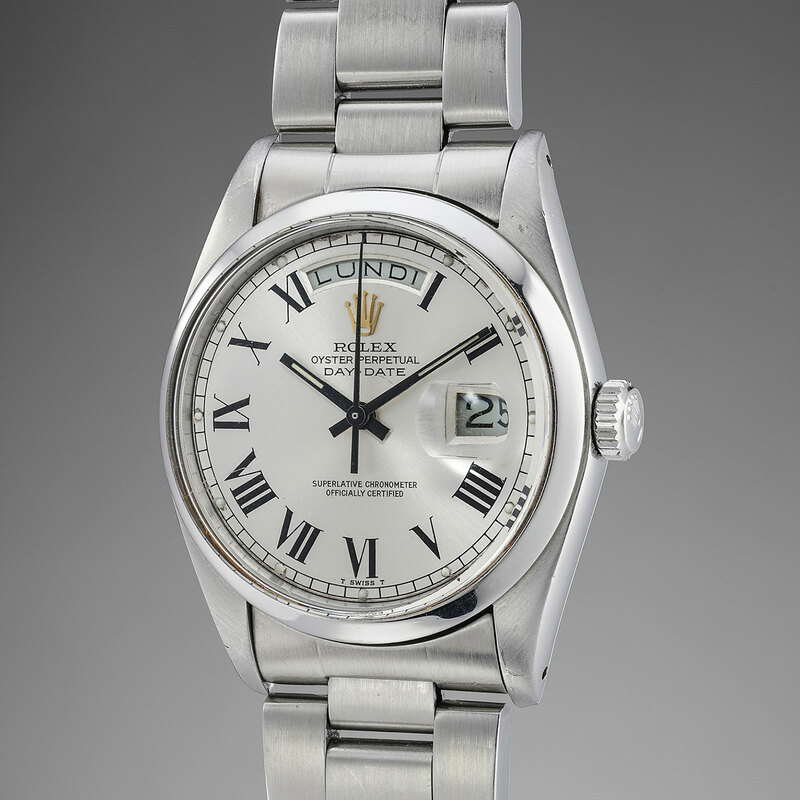 Usually available only in precious metals being the top of the line Rolex, the Day-Date was launched in 1956. In 1977, it was upgraded with a new movement, the cal. 3055, as well as a sapphire crystal, resulting in a new model reference, 18000. This watch is a prototype in stainless steel, believed to be from 1976 and built to test the cal. 3055. According to Phillips, it was acquired by the current owner from a former Rolex watchmaker involved in developing the cal. 3055, who was gifted the watch upon retirement. Being a prototype the watch has neither a case nor reference number, though the movement is numbered “0005073”, not too far off from the movement number, “0004547”, of another steel Day-Date that’s known and included in Italian collector John Goldberger’s 100 Superlative Rolex Watches. This has an estimate of SFr60,000 to SFr120,000, or US$61,500 to US$123,000. The latest in a surprising number of prototype Omega watches that have come to market in the last two years (which includes the tourbillon wristwatch that sold for over US$1.4m) is one of the experimental watches Omega developed for NASA, which wanted wristwatches able to survive extreme environments. 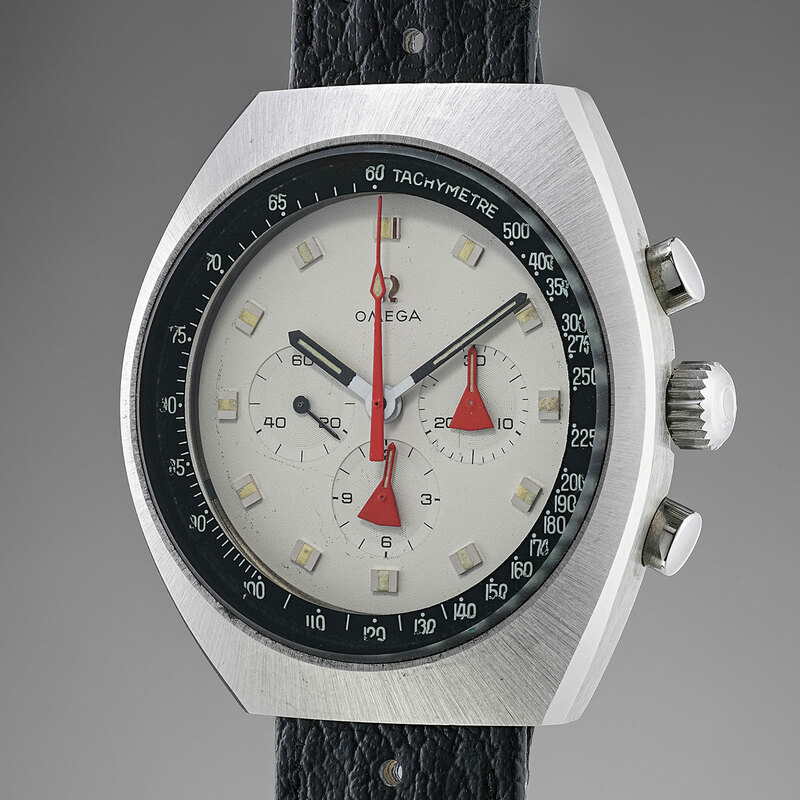 Codenamed “Alaska”, the project resulted in several series of wristwatches, including this example, which comes from the “second batch” of “Alaska I” watches according to the Omega Museum certificate that accompanies the watch. Sharing the same steel case as the Speedmaster Mark II, this watch has an unusual white dial and mineral crystal, as well as the cal. 861 inside. Improvements were made to the cal. 861 used in the “Alaska” watches, including special lubricants that could remain stable in low temperatures. The watch is in surprisingly sharp condition, and has an estimate of SFr40,000 to SFr60,000, or US$41,000 to US$61,500. If values of the past “Alaska” prototypes are anything to go by, this will likely finish well into six-figure territory. 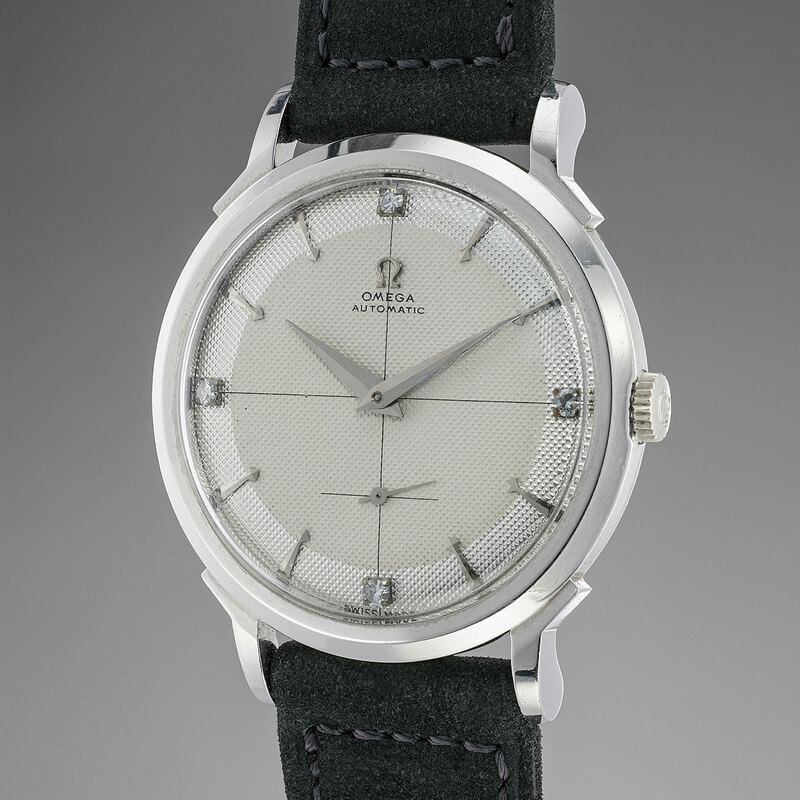 Less visually interesting but perhaps as rare as an “Alaska” prototype is this 1952 Omega automatic in platinum. 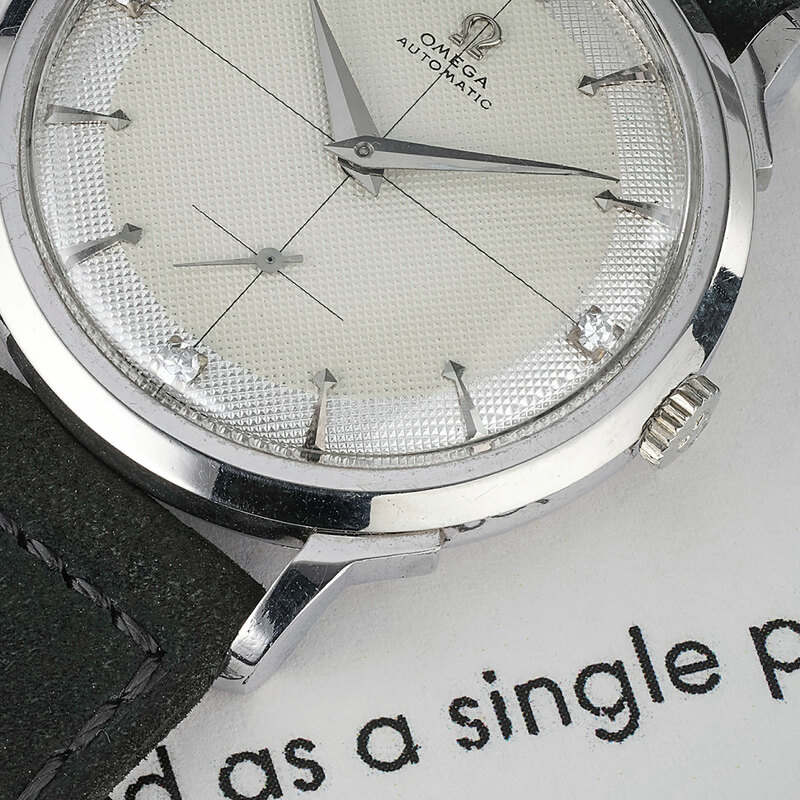 Platinum watches by Omega, or by any brand for that matter, from the period are exceedingly rare, and this example was “ordered as a single piece” and sold in Spain, according to the Omega Museum certificate. The style of the watch is classically beautiful: it has a striking, two-tone hobnail dial with diamond markers for the quarters and dauphine hands. 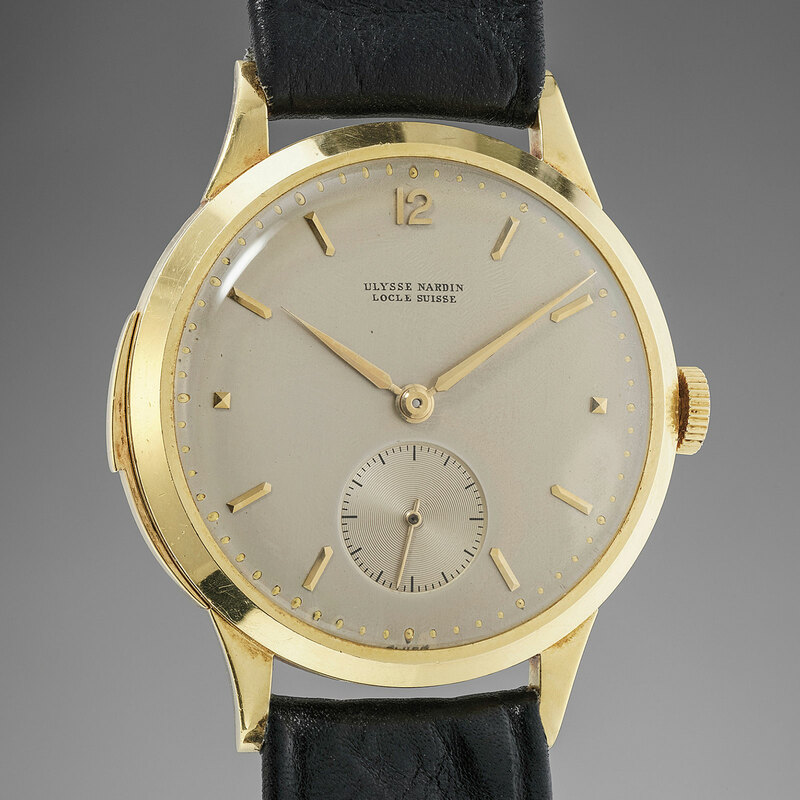 The dial is notably clean for a watch of this type and age, a quality echoed in the crisp condition of the case. The case is 35mm in diameter, and contains the cal. 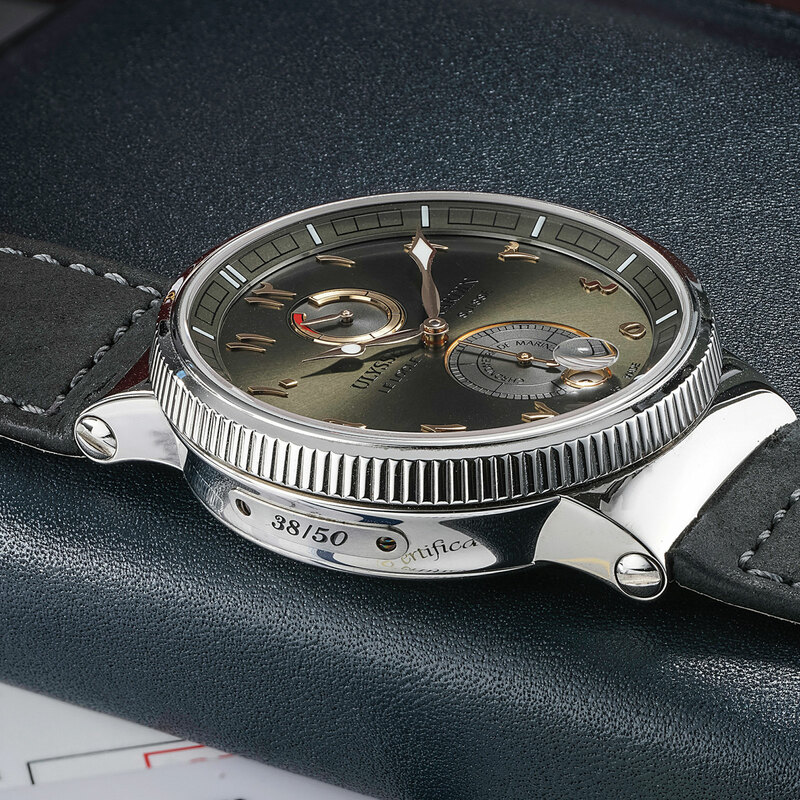 342, an early self-winding movement. It has an estimate of SFr50,000 to SFr100,000, or US$51,200 to US$102,000. Perhaps unfair given the history and accomplishments of the brand, Ulysse Nardin is rarely prominent when it comes to highlights at auction. But this watch thorough deserves the attention, being extremely rare and good value as such things go. 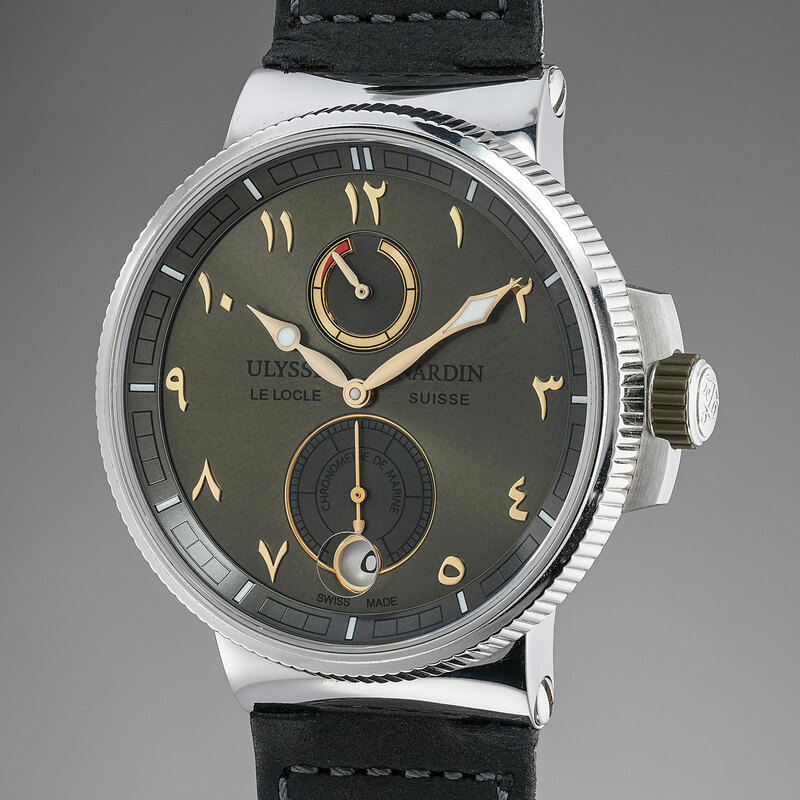 It’s a Ulysse Nardin minute repeater wristwatch from 1950, handsome in a manner that most mid-20th century watches are, while being moderately sized at 36mm in diameter. 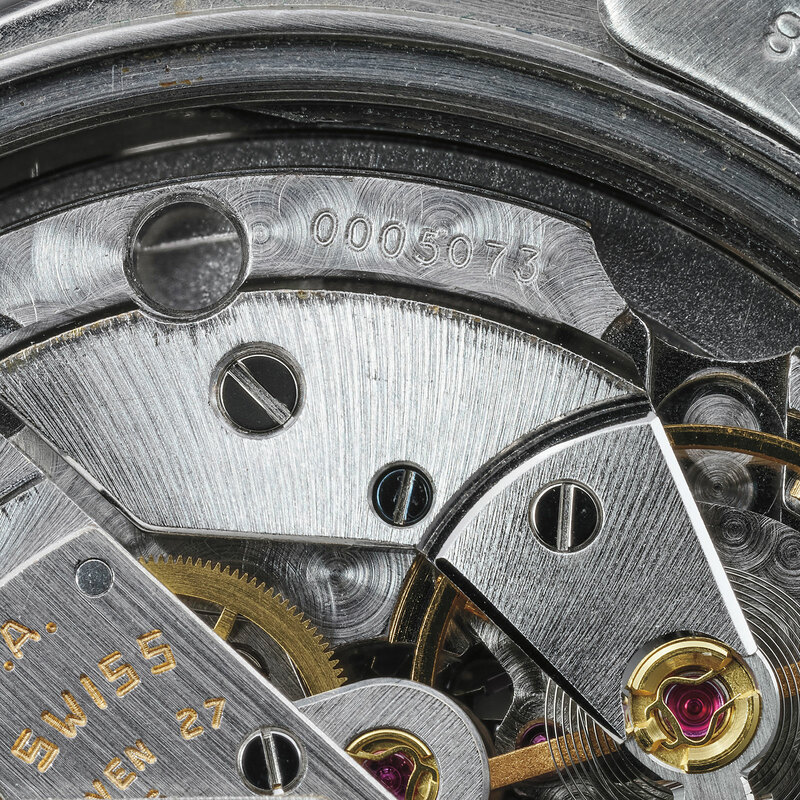 The hand-wound movement is typical of minute repeaters of the Vallee de Joux, with three finger bridges for the wheel train, and was probably produced by one of the well known movement makers of the area. Because Ulysse Nardin is not typically associated with such a watch – its best known vintage timepieces are marine chronometers – the estimate is a modest SFr70,000 to SFr140,000, or US$71,700 to US$143,000. Made by Seikosha and issued to the pilots of the Japanese army and navy during the Second World War, the tensoku tokei, or 天測時計 that translates as “astronomical observation watch”, is an oversized, 48.5mm wristwatch with a distinctive dial featuring red and white markings. 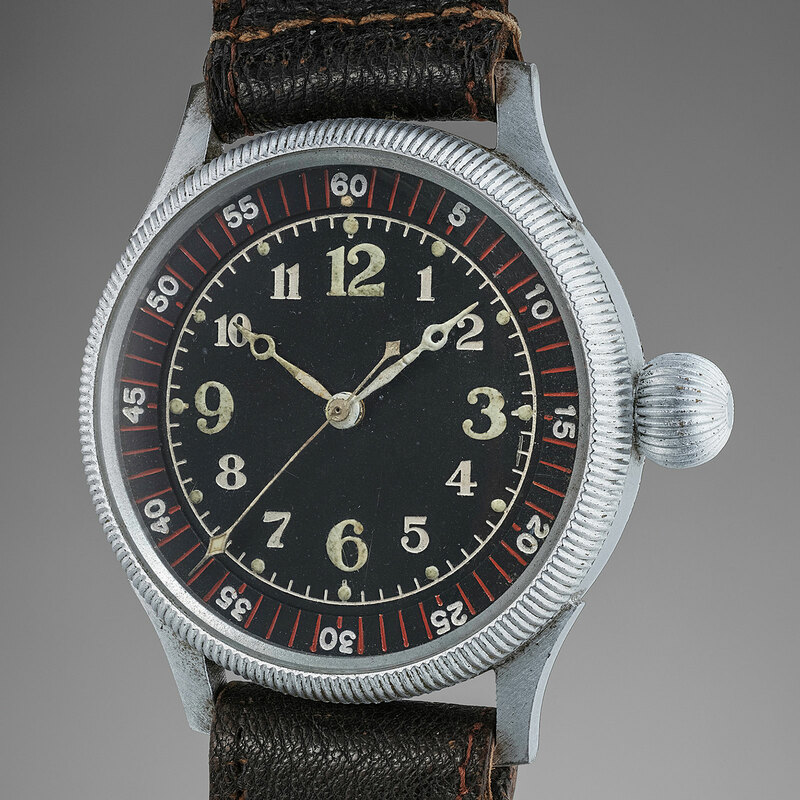 Though worn by pilots in general, these watches are unfortunately sometimes nicknamed “Kamikaze”, after the pilots who crashed their planes into enemy ships in suicide attacks as the war neared its end. 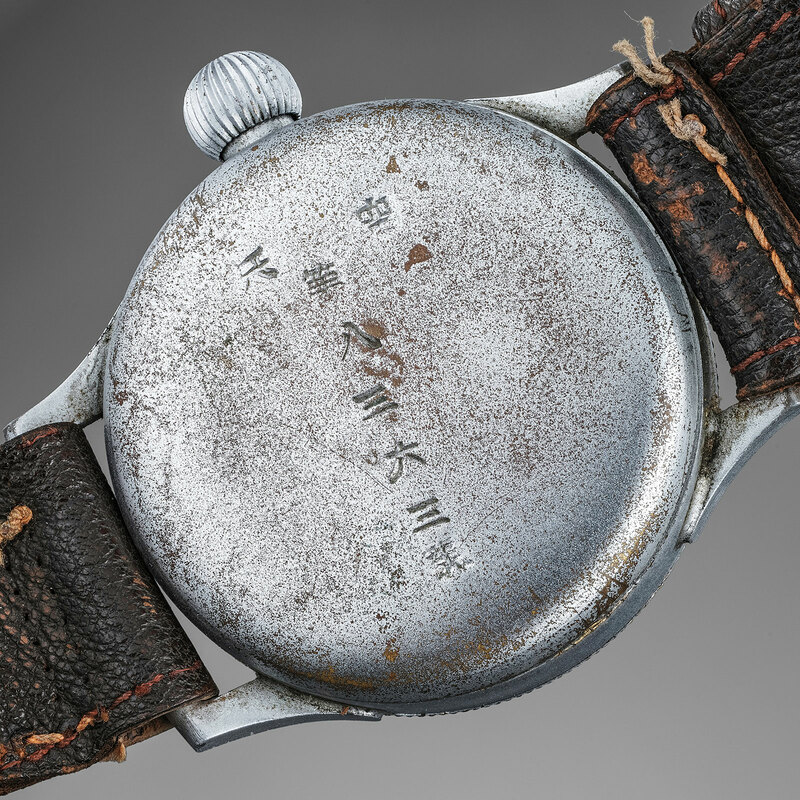 Kamikaze pilots belonged to the Tokubetsu Kogekitai (特別攻撃隊), or “special attack corps”, sometimes abbreviated as tokkotai, another nickname for this watch. Like the extra-large beobachtungsuhr worn by German pilots of the Second World War Luftwaffe, the tensoku tokei was designed to be worn over a flight suit, with an bulbous crown that was easy to operate while wearing gloves. The case back is marked with the kanji characters for “sky” (other examples are marked “air soldier”), as well as the issue number of the watch, “8363”. Two generations of the tensoku tokei were produced, the first powered by a 15-jewel movement with some decoration, followed by a simpler, nine-jewel movement. This has an estimate of SFr8000 to SFr12,000, or US$8,200 to US$12,300. It’s worth noting that Sotheby’s has a similar tensoku tokei in their Geneva auction that takes place a day after Phillips’, with an identical estimate. One of several editions produced exclusively for the Middle East (other examples include Rolex and IWC), this is a Ulysse Nardin Maxi Marine Chronometer from 2015, reputedly consigned by an important collector from the region. Eastern Arabic have been used with varying degrees of aesthetic success, but Ulysse Nardin’s take on the style works well. It has an metallic olive green dial featuring Eastern Arabic hour markers in applied rose gold, matched with a date wheel in the same script. The watch it is based on is the signature modern day Ulysse Nardin, with its dial inspired by the boxed and gimballed marine chronometers Ulysse Nardin once specialised in. The dial layout, with the power reserve at 12 o’clock and seconds below, as well as the hands are both distinct features of vintage marine chronometers. Inside is the UN-118, an in-house automatic movement with its hairspring, escape wheel and pallet fork made of silicon. The watch is complete with box and papers stamped by Al-Manara, the leading watch retailer in Abu Dhabi. It has an estimate of SFr6000 to SFr12,000, or US$6100 to US$12,300. 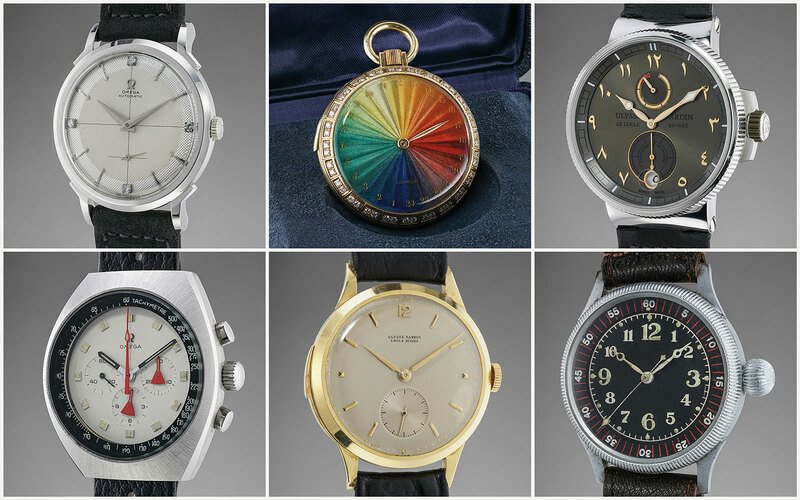 The Geneva Watch Auction: Eight takes place on November 10 and 11, 2018, at the La Reserve hotel in Geneva. The lots are on display at the same location from November 8 to 11. The full catalogue is available online here. A slimmed down and more affordable take on the classic Ulysse Nardin. Making it the most expensive Omega watch ever.